People change as they get older. It's inevitable. Surprisingly, the same can be true for some animated characters. New styles or technologies may arise, different artists or voice actors come along, and, over time, these changes can evolve a character into something almost completely unrecognizable, compared to their humble beginnings. 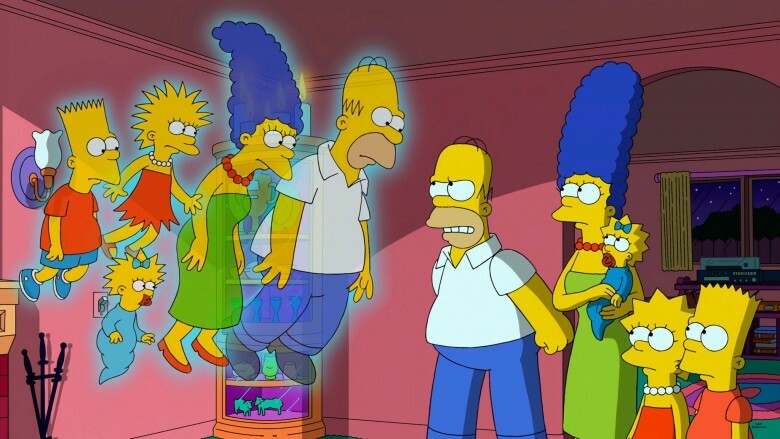 The Simpsons have been on the air for such a long time, there are adults walking around right now who were born years after the show first aired. Before our favorite yellow, four-fingered family found a home with their titular series on Fox, they started out as a series of shorts on The Tracey Ullman Show. Over the course of three seasons, from 1987-89, Bart, Lisa, Marge, Maggie, and Homer entertained Ullman's audience for a few minutes every now and again. Within seven months of their final appearance, they got their own show, and received a huge makeover. 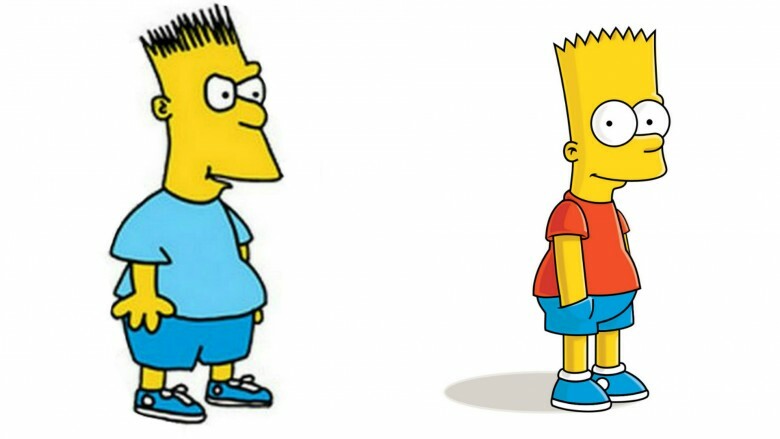 Bart started out somewhat similar to how he looks today — just more extreme. His hair was more severely spiked, he had a nastier overbite, and he had more of a tummy. His body has since become less flabby, and his hair is now less of a row of loose-picket fencing, and more of a series of clean triangles. More paper grocery bag top, less deadly pit of spikes, basically. If you look at drawings of Homer from back in the mid-to-late eighties, you can see that he looked a bit more like an actual person than he does now. His hair was somewhat more realistic, though he was still devastatingly bald, with only a few measly strands on top, and his beard was a bit darker. He wore a suit and a tie, which is something we rarely ever see him wear in the modern incarnation, and his voice was a bit different, as well. 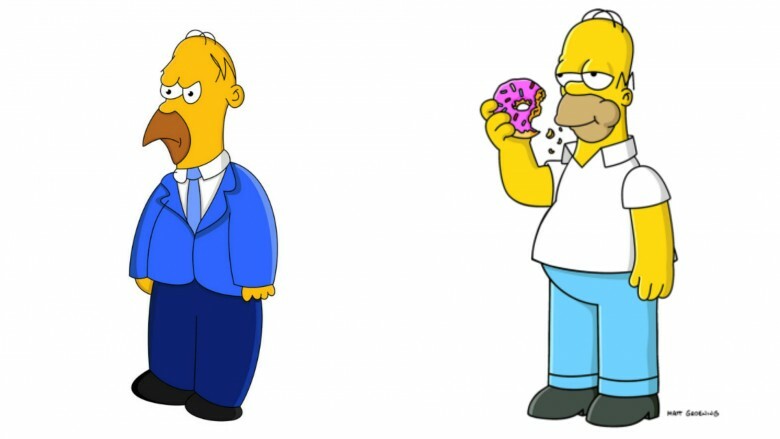 According to Dan Castellaneta, the man who has been voicing Homer for over 30 years, he sounds different in the Tracey Ullman-era shorts than he does in the series because he was originally trying to make him sound like Walter Matthau. This was in keeping with the idea that Homer was something of a stereotypical sitcom dad, which, if you've ever seen the show after season three, you know is just not an accurate description. 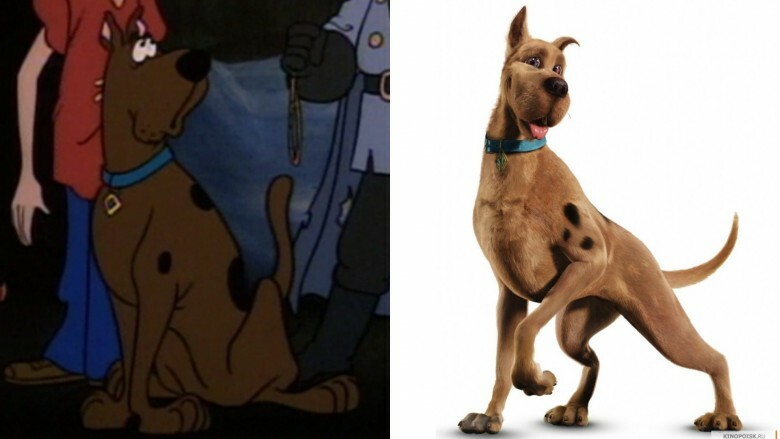 Ol' Scoobs has gone through a lot of changes over the years, but not so many as he has recently, with the advent of CGI and the annoying habit of Hollywood producers to greenlight anything and everything, so long as it's a remake. Originally, Scooby looked pretty much like a regular dog would look in a cartoon. He walked on four legs, he had the physique of a great dane, and he had some spots on his body. When they flipped the switch and gave his likeness a computer makeover, he morphed into something totally different. Yes, he is still a dog, and certainly looks like one, but the nuances of the original character just aren't there anymore. They added some extra spots, and got rid of some, as well. He still looks like a Great Dane, but somehow … he looks even more cartoonish than he did when he was an actual cartoon. It may be that the level of detail a computer has been able to give to him has corrupted the simplicity of an otherwise lovable character. The folks at Warner Bros. seem to have taken note to negative fan reaction to CGI Scoob, and have greenlit an actual animated film, scheduled for September 2018. Even if you never watched a single episode of Arthur, you may be familiar with the character via the many memes he stars in, including the popular Arthur's Fist meme. If that means nothing to you, here's what's up with Arthur: the titular character of the PBS children's show is an anthropomorphic aardvark, though you wouldn't really know it, to look at him in animated form. He looks more like a tall teddy bear with glasses than an aardvark. Where's his nose? 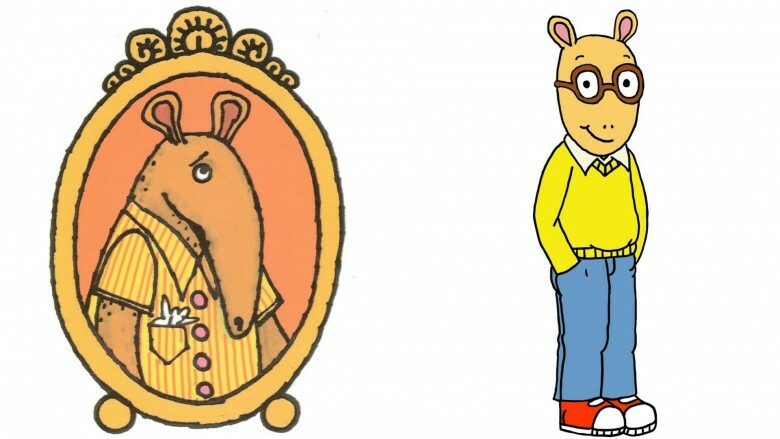 The show's creator, Marc Brown, actually introduced Arthur in a book called Arthur's Nose, which is where we found the image on the left. Arthur lost his massive, species-appropriate schnoz when he jumped from the pages of a book and onto our television screens. According to Brown, it wasn't anything he planned. He drew the character so many times over 35 years, he just sort of evolved on paper and "he got more lovable" as time went on. That's certainly true: that nose would be enough to frighten any child away from television, and right outside to get some sun, and nobody wants that. 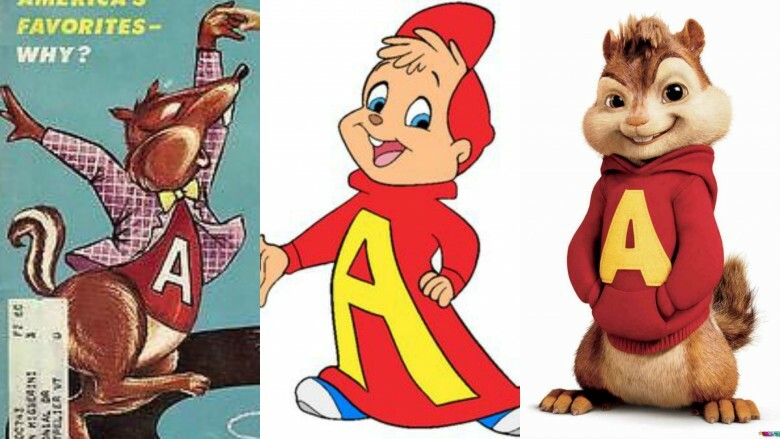 Most adults reading this are probably pretty familiar with the Alvin in the middle of the above image, while the kids know the one on the right. If you take a close look at the two, they aren't too dissimilar. Clearly, the animators embraced the newest technology when making Alvin and the Chipmunks for a 21st century audience, but kept the general look of the character. They modified his clothing a little bit, and certainly for the better. What exactly was that muumuu-looking thing he was sporting in the '80s, anyways? 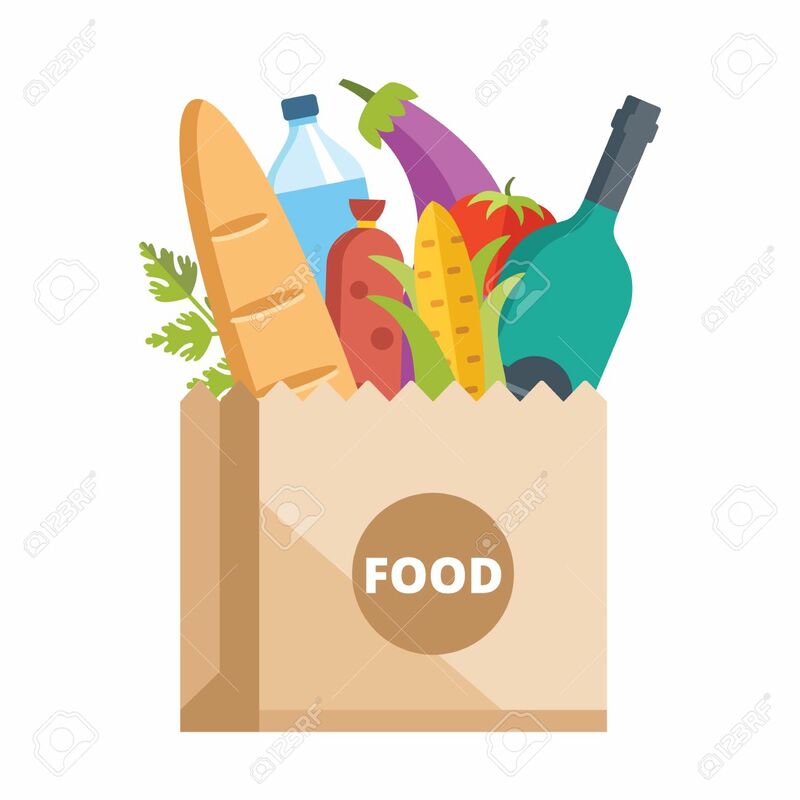 Actually, forget about the animated versions of the character for a second and feast your eyes on the little guy in the far-left of the image above. Believe it or not, that thing is Alvin. Before they ever had a chance to entertain children on television, the Chipmunks got their start recording novelty albums. To be clear, it was a guy named Ross Bagdasarian, Sr. speeding up his voice — not actual chipmunks singing in a recording studio. Sorry to break it to you. The first album, Let's All Sing with the Chipmunks, debuted in 1958, and the cover featured the three chipmunks who looked, more or less, like actual chipmunks. Following the success of the album, the kiddie crooners debuted in 1961 on a show you have never heard of called The Alvin Show, sporting the animated makeover we are all more familiar with. None of the kids from South Park have ever been animated particularly well, but when co-creators Trey Parker and Matt Stone first started out, the boys looked rough. We first saw Cartman in his animated debut, The Spirit of Christmas, which Parker and Stone created while attending the University of Colorado. 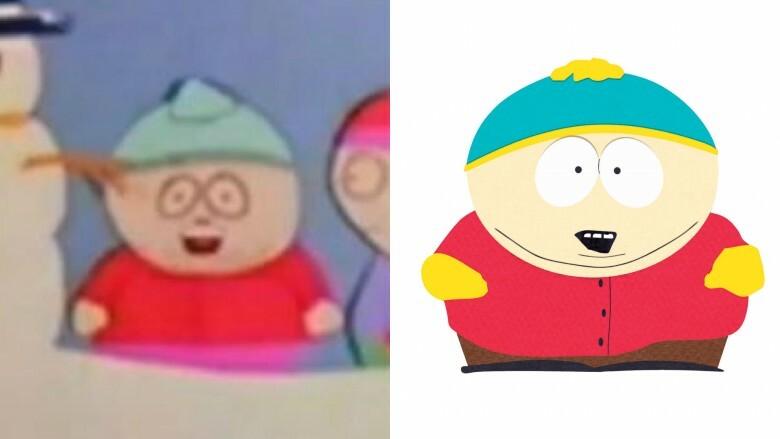 If you watch the video, you might notice that while Cartman looks pretty similar to his modern depiction, but he's called Kenny and is the first child to die, followed by the first, "Oh my god! He killed Kenny!" When they finally got a greenlight from Comedy Central to do something a bit more permanent, the characters all got a bit of a makeover. When they first got started, the animation was done using a process called cutout animation. They literally cut the characters out of sheets of construction paper and glued them together. This is a form of stop-motion animation, and pretty much involves moving sheets of paper about and taking pictures that are later strung together. 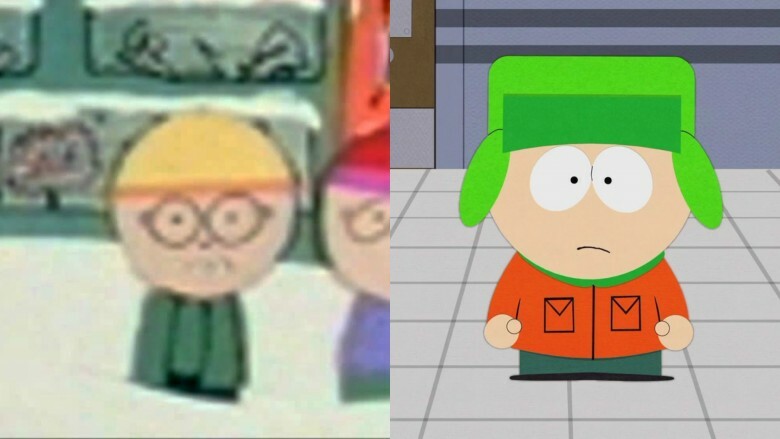 Even though the modern animation for South Park is done via computers, they have retained the style, so everything still looks kind of like it was made with construction paper — only much more refined and streamlined. When South Park moved from viral video phenomenon to weekly animated series, the Kenny, Stan, and Kyle characters, nameless but recognizable in The Spirit of Christmas, all got tweaked, but Kyle, in particular, was overhauled. The main difference is the character's hat, which, let's face it, is kind of the distinguishing feature between him and Stan. These days, Kyle wears a green hat with ear-flaps. Back in the original cartoon, he is wearing a green shirt and a yellow knit cap. He looked too similar to Stan, which may be the reason they ultimately made these changes. To be fair, Mickey Mouse hasn't gone through too many changes over the years. He still sports the same pants and shoes he wore in his first animated short, Steamboat Willie, all the way back in 1928. His eyes are a little different, and he wears white gloves now, but overall, the character hasn't changed much. What has changed is the style in which he is animated. Back in the 1920s, Steamboat Willie was the technological pinnacle of animation for its day. Not only was it brilliantly animated, it was also the first Disney cartoon to feature synchronized sound, which was a big deal back then. These days, Mickey is usually rendered by computer, rather than animators slaving away over a drafting table. 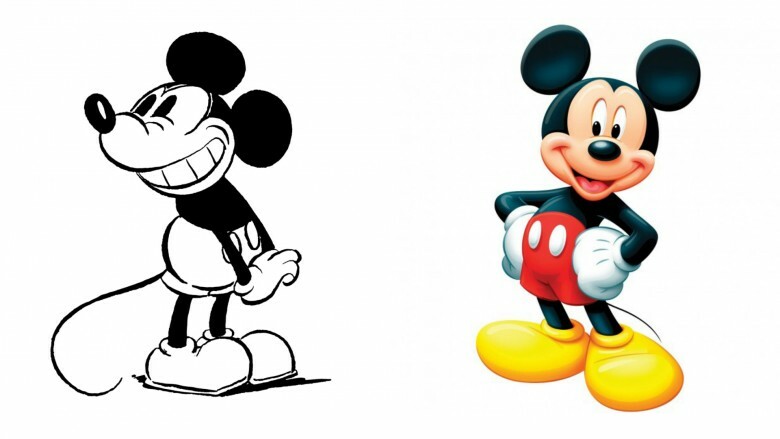 Because he was one of the first characters ever animated in the traditional sense who made it big and is still being drawn, Mickey represents a unique look into the way animation style has changed over the years. Gone are the flat, monotone images, which have been replaced with three-dimensional representations showing a bit more character and emotion, but still showing the same lovable little mouse we all enjoy forking over thousands of dollars to see make our kids smile … or cry. Sometimes, those characters in the park can be a bit scary. When My Little Pony: Friendship is Magic hit the airwaves in 2010, the world was treated to a pony makeover the likes of which the world had never seen. Each pony was redrawn to look more like the animation style of the day, and Bronies worldwide rejoiced. 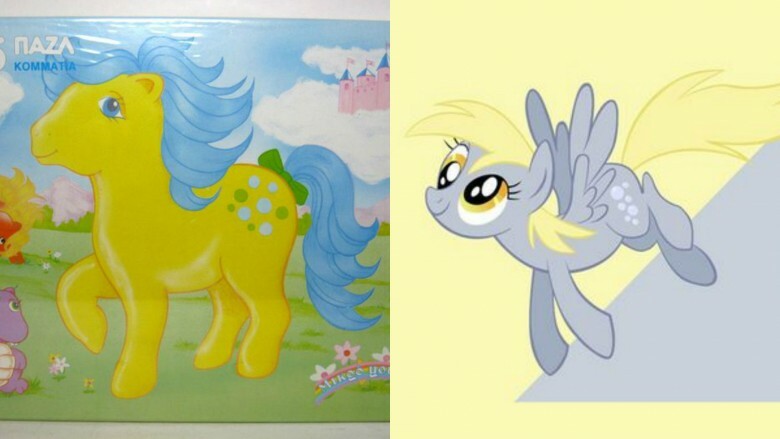 The first My Little Pony series debuted way back in 1986, and as you can see from the image on the left, they looked much different. For this entry, we have focused on the character Bubbles, but really, we could have picked any of them, since they look nothing like they used to.The ponies all have far more detailed eyes and the strong detail lines popular in animation since the Cartoon Network first aired The PowerPuff Girls and Samurai Jack. 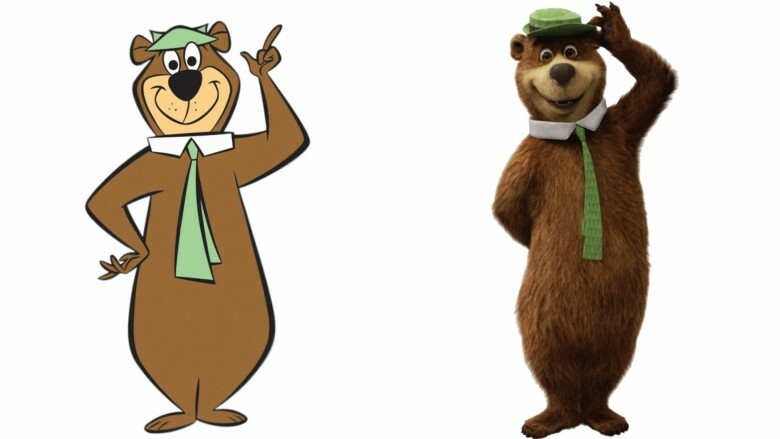 Yogi Bear is another classic cartoon character who recently received a CGI makeover, and the results are … well, they aren't bad, but they aren't that great, either. In cases like Yogi's, you really want to see a cartoon bear, and not something that sort of looks like a real bear. The result is cute and creepy at the same time. Not a good mix for Yogi. You can see from the image above that the animators remained true to the concept. He's still a bear standing on his hind legs, wearing a collar with a tie, and a hat. There isn't much they could have done to change his appearance, really, short of giving him some CGI khakis. We all know who Bugs Bunny is, and know what he looks like, but he wouldn't be on this list if he didn't go through the little tweak here and there. When Bugs first started out, he was, of course, still a rabbit, with a similar personality, but he was unnamed. He was pretty much just a generic little rabbit in debut, 1938's Porky's Hare Hunt. Bugs' first official appearance where he was actually called Bugs Bunny came two years later, in A Wild Hare, which featured Bugs and Porky at it again, but this time in color. By this time, he looked much closer to how he looks today. 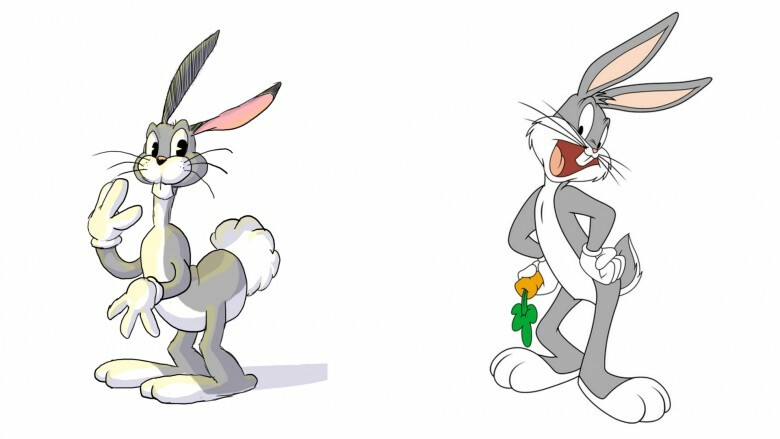 Bugs' first incarnations were a little bit more actual rabbit-like than they were cartoony. He had a bushy cotton tail, and a kind of rat-like nose, for some reason. As the character evolved over the decades, he nearly doubled in height, enabling him to stand eye-to-eye with the other Looney Tunes characters. Here's what might be the creepiest recreation of a beloved animated classic, ever: Papa Smurf. Hollywood, of course, just won't leave our warm and fuzzy nostalgia alone, and gave a CGI makeover to the beloved Smurfs. Are they still little, blue people who wear white hats and shorts? Sure. But do they look how they used to, which is like cute little blue people who had adorable personalities and were fun to watch? Nope! 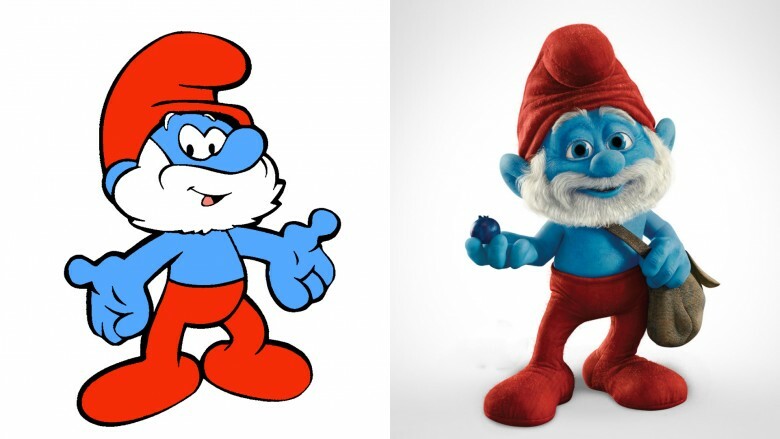 The modern CGI Smurf, not just poor Papa, is a nightmare come to life. Imagine you are walking through the woods and you find their little village. Instead of the boldly-colored little blue people, you find what amounts to smiling blue monsters who would likely trip you up like Gulliver and slit your throat. Just look at him. Hopefully, Hollywood will leave the poor Snorks alone.